NASA has once again expressed its disagreement with the idea of terraforming Mars. In a report sponsored by the agency, NASA said that the idea of terraforming the Red Planet is very unrealistic. However, tech titan Elon Musk disagrees with the NASA-backed paper, responding his own idea of terraforming on Twitter. “Science fiction writers have long featured terraforming, the process of creating an Earth-like or habitable environment on another planet, in their stories. Scientists themselves have proposed terraforming to enable the long-term colonization of Mars,” NASA states in an article published Monday. “Transforming the inhospitable Martian environment into a place astronauts could explore without life support is not possible without technology well beyond today’s capabilities.” NASA continued. NASA cites the study authored by Bruce Jakosky of the University of Colorado, Boulder, and Christopher Edwards of Northern Arizona University, Flagstaff which appeared in Nature Astronomy last July 30. The study revealed that the Martian atmosphere is too thin and too cold to allow liquid water to flow on the surface of the planet. Some suggest that releasing the carbon dioxide from the polar ice caps and soil of the Mars will initiate the creation of a thick atmosphere enough to warm up the planet, melting the possible water ice underneath the surface. But the remaining carbon dioxide trapped in various places in Mars will not be enough to start the process of terraforming. “Our results suggest that there is not enough CO2 remaining on Mars to provide significant greenhouse warming was the gas to be put into the atmosphere; in addition, most of the CO2 gas is not accessible and could not be readily mobilized. As a result, terraforming Mars is not possible using present-day technology.” Jakosky said in a statement released by NASA. According to the data conducted by the NASA-funded MAVEN (Mars Atmosphere and Volatile Evolution) mission, who Jakosky is the principal investigator, the potentially habitable atmosphere of the Red Planet has already been stripped away by solar wind and radiation. Processing the remaining carbon dioxide and water would result in an increase in the planet’s atmospheric pressure, about 7% to that of Earth. This increase in the atmospheric pressure (also known as barometric pressure) will make it more difficult for us human to step on Mars without specialized equipment that can handle the change of pressure. SpaceX CEO Elon Musk, on the other hand, wants to pursue his mission to terraform the rather inhospitable Martian grounds. 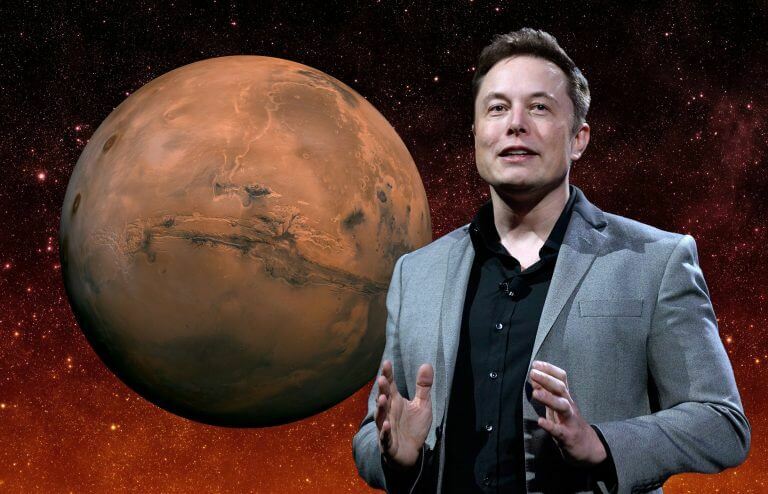 On a stage at the 2017 International Astronomical Congress in Adelaide, Australia, Musk said he wants to land at least two cargo ships on Mars by 2022, with passengers starts boarding to the Red Planet by 2024. “I fell fairly confident that we can complete the ship and be ready for a launch in about five years. Five years seems like a long time to me,” Musk announced last September. In a tweet by Discovery Magazine featuring its report of the study headlined “Sorry, Elon. There’s not enough CO2 to terraform Mars”, Musk responds with his own idea of terraforming, which he believes is still realistic. “There’s a massive amount of CO2 on Mars absorbed into soil that’d be released upon heating. With enough energy via artificial or natural (sun) fusion, you can terraform almost any large, rocky body,” said Musk. Musk again responds with a link to a study authored by a NASA scientist in 1993 which opposes the study conducted by Jakosky and his team. “It is concluded that a drastic modification of Martian conditions can be achieved using 21st-century technology. The Mars so produced will closely resemble the conditions existing on the primitive Mars. Humans operating on the surface of such a Mars would require breathing gear, but pressure suits would be unnecessary,” says the study shared by Musk, which is authored by Christopher P. McKay of the NASA Ames Research Center and Robert M. Zubrin of Martin Marietta Astronautics. Zubrin has then joined Musk on Twitter, defending the study he co-wrote with Chris McKay. NASA has then sent a follow-up statement to CNBC Make It, expressing their view on the matter which completely contradicts with that of Musk and Zubrin. “Loss of atmosphere to space is the largest ‘sink’ for CO2, accounting for a large fraction of any early CO2 and making it unavailable on the planet today,” NASA tells CNBC Make It an email. In their statement, NASA clarifies that while terraforming is improbable for today’s technology, it is possible that future methods might allow the process. NASA also stressed that the first step to making Mars habitable is understanding the planet first before any human could work and live there. Scientists built an “alien” ocean on Earth to test NASA’s interplanetary submarine!